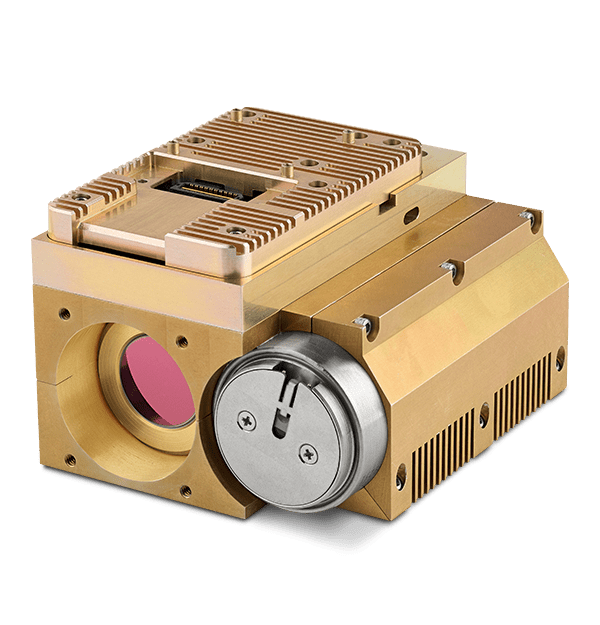 The Boson® longwave infrared (LWIR) thermal camera cores set a new standard for size, weight, power, and performance. 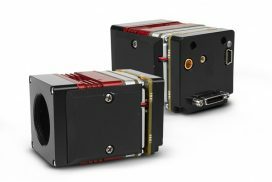 Its 12µm pitch vanadium oxide (VOx) uncooled detector, comes in two resolutions — 640×512 or 320×256 — and it’s available with lots of different lenses, so you’re sure to find a configuration that’s just right for your next project. Boson’s advanced image processing, video analytics, peripheral sensor drivers, and industry-standard communication interfaces make integration easy. 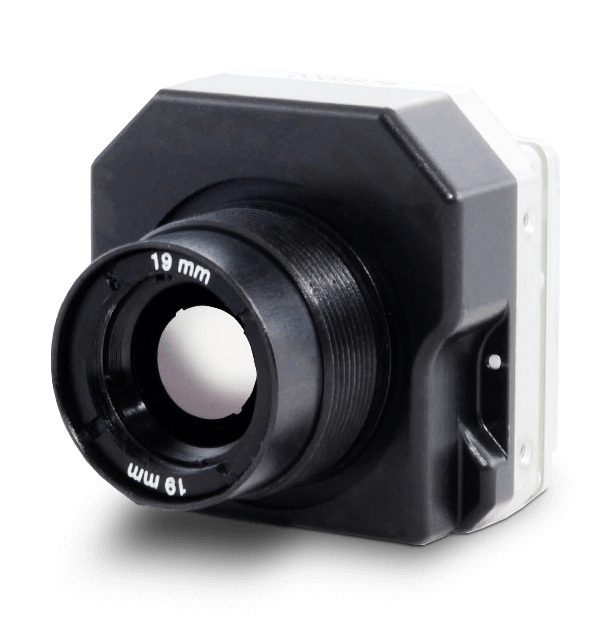 The new FLIR Boson™ SWIR is a SWaP+C Optimized Short-Wave Infrared (SWIR) camera core. 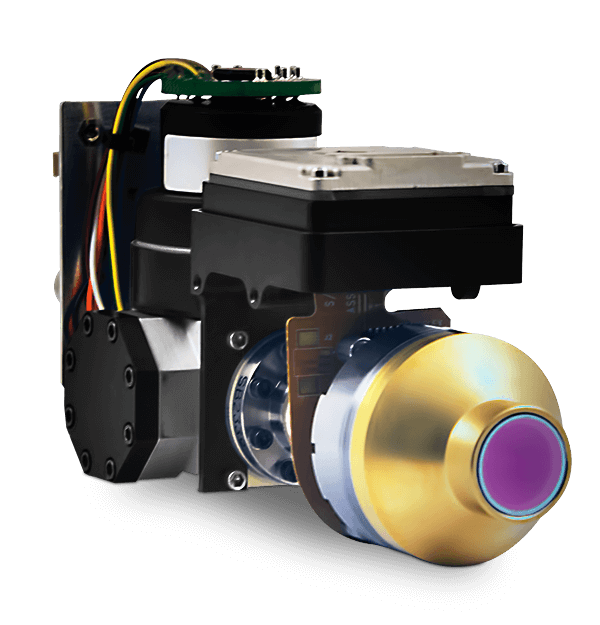 Designed as an integrated system from the focal plane array (FPA) up, the Boson SWIR uses FLIR InGaAs FPA technology and uncooled (TEC-less) temperature compensation to optimize SWaP+C and ease of integration into an OEM system. 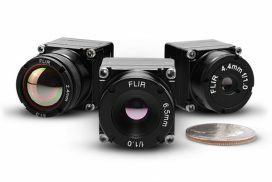 It produces superb imagery using a 640 × 512 format 15µm pixel pitch FPA in the SWIR and Vis-SWIR spectrum. Where SWaP are design constraints, and cost and performance is desired, Neutrino™ is the ideal solution. The Neutrino offers FLIR’s latest developments and advancements in image processing, and the resulting image from the 640×512 InSb array is superb! 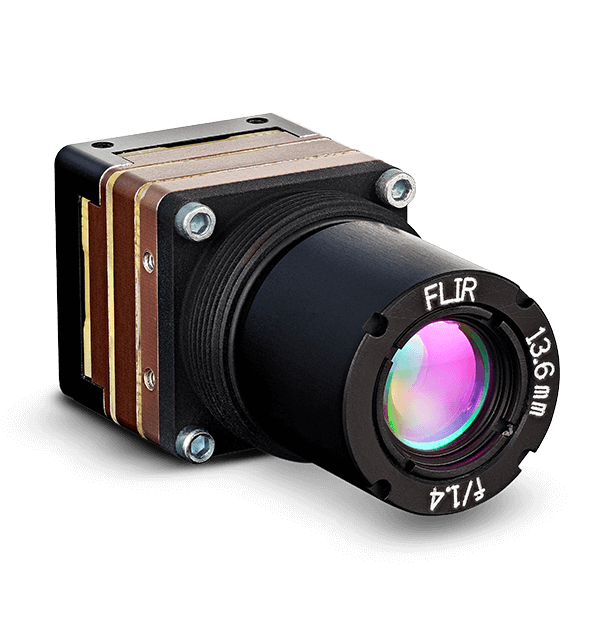 Weighing in at less than 16 oz (<450 gm) and a steady state power consumption less than 5 watts, it is FLIR's smallest and lightest weight OEM cooled camera core. The Neutrino offers the best performance, the lowest cost, and easiest integration of any MWIR system on the market. 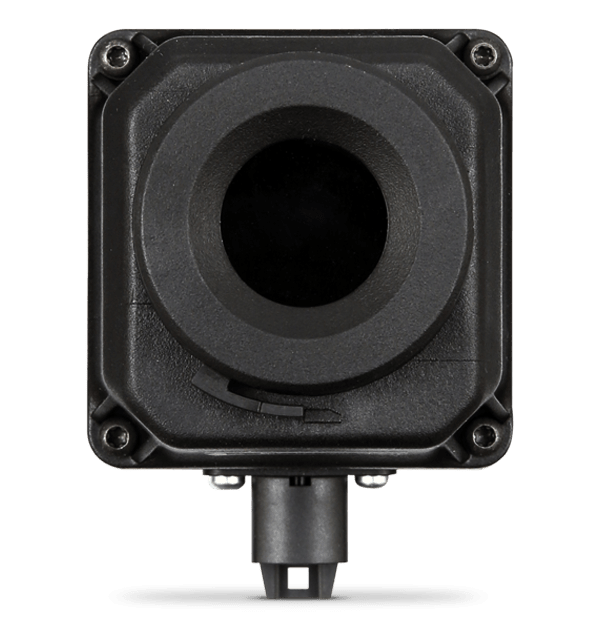 The Neutrino SX12 is a SXGA-resolution midwave infrared (MWIR) camera module is based on a 1280 × 1024/12µ InSb focal plane array (FPA), is ideal for ground based or airborne Intelligence, Surveillance and Reconnaissance (ISR) and Counter UAS (CUAS) missions by offering high speed, high-resolution imagery while still maintaining a compact opto-mechanical package. The industry standard interfaces, simple and powerful software controls, complete product documentation and FLIR OEM technical support reduces product development risk and shortens time to market.